Let me first say that this post’s title is a little misleading. 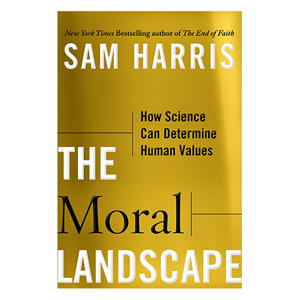 The Moral Landscape Challenge refers to Sam Harris’s public invitation to refute, in no more than 1,000 words, the central thesis of his book, The Moral Landscape, in which he argues that science can answer moral questions. The prize for the best essay: $2,000 plus publication on Sam’s website. So, you might ask (perhaps feeling a bit peeved) how could there be any way to win what has already been won? There is still the contest’s grand prize (for which, I regret to say, only I am eligible): $20,000 plus Sam’s public admission that his view about science and morality is mistaken. To enjoy those riches, I must convince Sam his view is wrong. In other words, I must change his mind. Following Sam’s advice, I argued for one of these four claims—namely, (2), which I interpret as a restatement of “The Value Problem” Sam talks about in his response to critics. Clearly, however, my 1,000 words weren’t enough to net the grand prize. But they should be a good start to the longer written exchange Sam and I are now developing (and that Russell Blackford is moderating and evaluating). When that exchange is published on Sam’s website, probably this April, you’ll see how my essay sought to defend (2). You’ll also find out whether I eventually succeed in changing Sam’s mind. As we count down the weeks, I’ll count down some of the ways, aside from (2), Sam believes one might pull off a “proper demolition” of his thesis. On to the first post: The Worst Possible Misery for Everyone is Bad (Reasoning)?, Part 1. UPDATE (6/4/2014): My winning essay has been published on Sam’s blog. The longer written exchange mentioned above will not be published. I just read your winning entry at Sam Harris’ blog. It is impressive work, indeed. You’ve deprived me of my sour grapes. I wanted to be able to say, “MY entry was better than THAT!” Now…I can’t. Job well done, sir! Congratulations. Thanks, William. I’ll look forward to seeing what Sam says in response. I’ll likely post a reply to him here when the time comes.